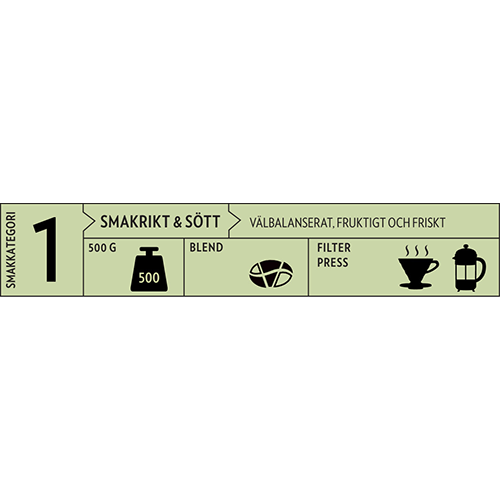 johan & nyström Buena Vista coffee beans is a fair-trade and organic brew mixture. A mixture containing 100% organic and Fairtrade certified coffee beans. Origins can vary depending on the season and what coffees available. 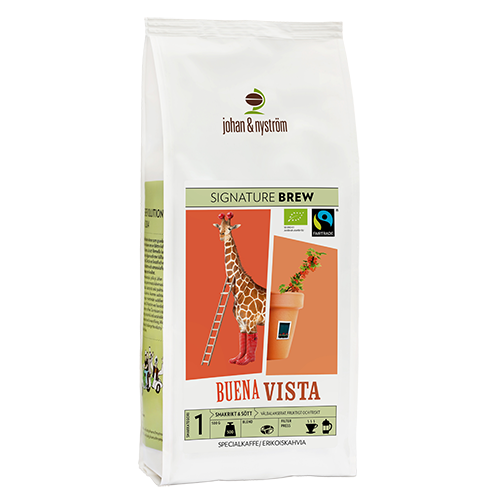 Right now, the mixture contains beans from cooperatives in Ethiopia, Nicaragua and Sumatra in Indonesia.The blend is well balanced and softly toasted, so that the coffee is still lots of lovely flavors and natural. Buena Vista appeals to most people. Fairtrade guarantees this product to be traded in accordance with international Fairtrade Standards.